WISeKey International Holding Ltd., a Swiss-based, cyber security company presented late last week its trusted technology for integrating wearable technology with secure authentication and identification, in both physical and virtual environments. It does this by empowering IoT and wearable devices to become secure transactional devices. WISeKey has patented this process in the U.S., and it is currently used by many IoT providers. The WISeKey/OISTE.ORG Root of Trust (RoT) serves as a common trust anchor, which is recognized by the operating system and applications, to ensure the authenticity, confidentiality and integrity of on-line transactions. With the Cryptographic RoT embedded on the device, the IoT product manufacturers can use code-signing certificates and a cloud-based signature-as-a-service to secure interactions among objects and between objects and people. At the heart of this 4th Industrial Revolution strategy is the OISTE-WISeKey Cryptographic Root of Trust which has been actively used since 1999 by over 2.6 billion desktop, browsers, mobile devices, SSL certificates and IoT devices. The OISTE WISeKey Cryptographic Root of Trust is ubiquitous, universal and a pioneer in the identification of objects. It is estimated that the global wearable market will grow at an annual rate of 35 percent over the next five years. The rapid growth of the number of connected devices is driving the shift from the current traditional mobile payment method to highly secure transactions from wearable devices using trusted communications and authentication technology. WISeKey’s Cryptographic RoT and NFCTrusted technology enables these wearable devices to connect safely and make secure payments and other transactions. The WISeID NFCTrusted can be embedded in a connected device without requiring device modification or app downloads. This technology is an evolution of the WISeAuthentic solution that has already deployed with several luxury brands, including over one million watches digitally tagged and for which WISeKey recently obtained a U.S. patent. In February 2015, WISeKey and Bulgari launched an intelligent mechanical watch using the NFCTrusted technology which allows the watch to execute payments and other transactions without using a mobile phone or other devices connected to the Internet. NFCTrusted authentication tags incorporate a WISeKey cryptographically secure digital certificate to prove authenticity. 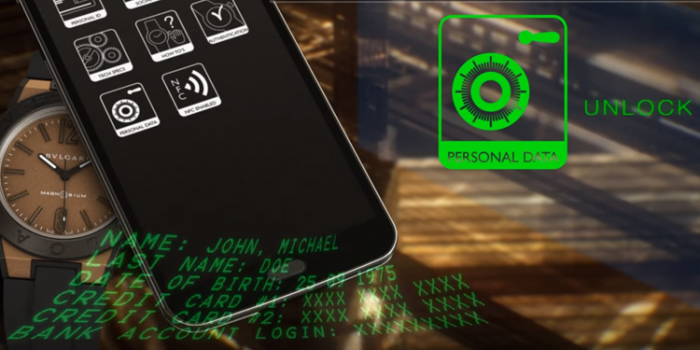 The tags can be embedded in virtually any product, piece of equipment or common household item, and users can verify authenticity with an NFC-enabled smartphone, watch, connected device or other mobile device. This technology optimizes security and convenience, while also eliminating the need for special readers or other equipment for tag authentication by using proof of presence. “The combination of trust and convenience opens the door for the use of NFCTrusted tags in diverse markets to support a variety of IoT applications,” said Carlos Moreira, CEO of WISeKey.